Suri Cruise to be maid of honor in Katie Holmes' rumoured marriage with Jamie Foxx? Katie Holmes and Jamie Foxx are enjoying their courtship from the last couple of months. Katie Holmes and Jamie Foxx are enjoying their courtship from the last couple of months. Ever since their pictures surfaced in which they were seen holding hands in Malibu beach, several media outlets started to talk about their romantic life. Recently, the rumours started to surface about the rumoured marriage between Katie and Jamie, and how their guest list was leaked online. Katie Holmes and Jamie Foxx have been dating for quite some time. Before their Malibu pictures, they both simply denied that they are romantically involved with each other. However, the couple is taking their relationship with extreme care and are not rushing into anything that includes moving in with each other or getting married by next year. However, as per a recent report by Closer Magazine via Mirror, Katie Holmes and Jamie Foxx are reportedly going to have a star-studded guest list with celebrities like Jennifer Lopez, Heidi Klum, and Beyonce set to attend their marriage party. The magazine went on to claim that Katie and Tom Cruise's daughter, Suri, will be stepping in as Katie's maid of honour. "Suri is Katie's best friend. So while it may seem unconventional to make her daughter maid of honor, she said it was most fitting to have her by her side when she ties the knot," the alleged source revealed. The alleged insider went to claim that the rumoured ceremony will "be one of the biggest showbiz bashes of the year." 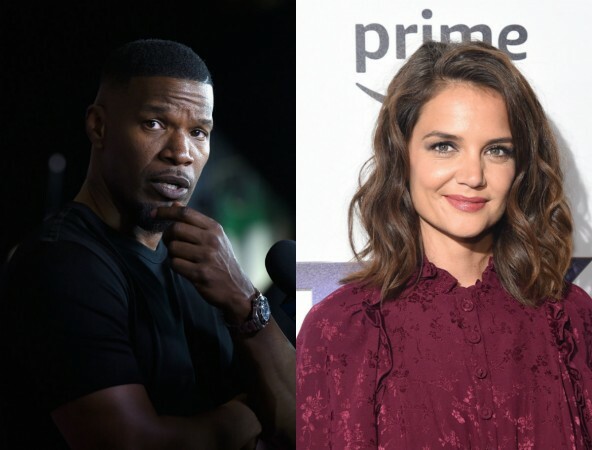 At the very same time, an alleged insider revealed to an outlet that Katie Holmes and Jamie Foxx are reportedly planning to marry in Paris. "Paris is the city where they decided to go public with their romance after years of sneaking around. Jamie's been a handful ever since they started secretly dating in 2013 — but Katie's convinced him to settle down, and they're ready to make it official. Katie has waited a long time to marry Jamie, and she's now made it clear where she wants to get married and when. She's desperate for a winter wedding in the City of Light." However, Gossip Cop debunked the claims that Katie Holmes and Jamie Foxx are not planning to get married in Paris. As of now, the reps of Katie Holmes and Jamie Foxx have not commented on the recent wedding and guest list claims. Well-wishers of the stars are advised to take these claims as nothing but rumours about their private lives.